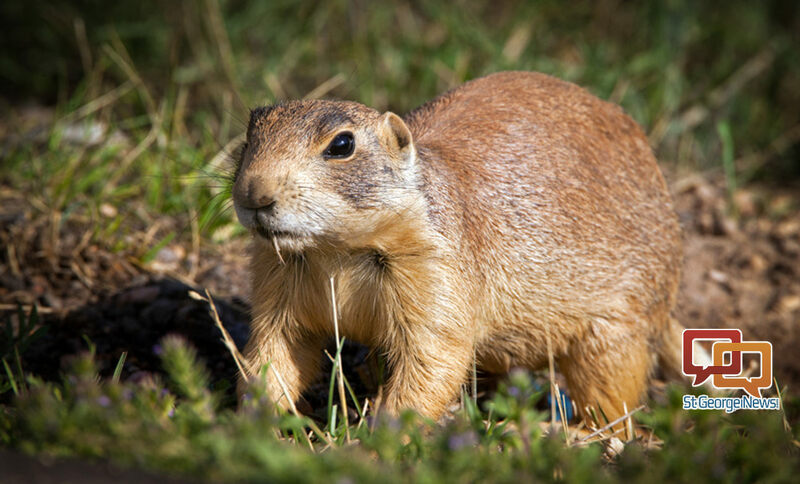 ST. GEORGE – Wildlife biologists and accompanying journalists were told they may have been exposed to the plague following test results that positively identified the disease in dead prairie dogs the biologists had previously handled. 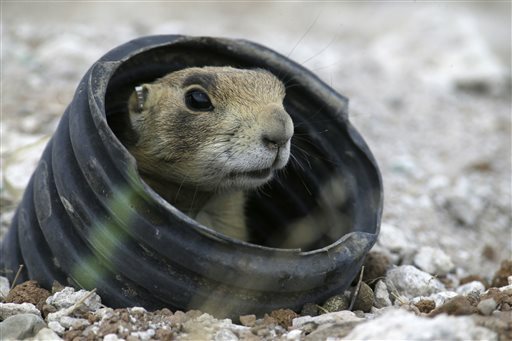 While it is rare for humans to contract the plague from prairie dogs, those who were potentially exposed have been treated with antibiotics, said Mark Hadley, a spokesman for the Utah Division of Wildlife Resources. The incident occurred in Iron County around Aug. 24 when a wildlife biologist studying a prairie dog colony in a remote part of the county found three dead prairie dogs, Hadley said. The biologists brought the animal carcasses back to DWR’s facility in Iron County where two other biologists sealed them in plastic bags for transport to a lab in Spanish Fork. “We wanted to know what killed these prairie dogs,” Hadley said. Nearly a week later, the two biologists who handled the dead prairie dogs were participating in a new program involving the capture of prairie dogs so they could be outfitted with GPS-tracking collars. Along with the biologists were three journalists covering the implementation of the new “capture and collar” program. Among them was Mark Weaver, a photojournalist for KSL-TV. One of the trucks used by the biologists for the capture and collar event had also been used to transport the three dead prairie dogs nearly a week earlier, Hadley said. Weaver never physically rode in the truck, he said, but had set his camera gear up next to the tailgate where the biologists were collaring the captured prairie dogs. “I was up close and personal,” Weaver said. Test results for the dead prairie dogs showed signs of the plague. The results were reported to DWR officials the day after the capture and collar event. Known to history as the Black Death, Bubonic Plague and other names, the disease carried by the prairie dogs is estimated to have killed millions of people across Europe and Asia during the mid-1300s. When state wildlife officials were made aware the possible exposure, they notified the biologists and journalists who had handled the dead prairie dogs and had been around the truck that transported them. While they were told the biologists and journalists weren’t likely at risk, Hadley said, the DWR wanted to take extra precautions just to be sure and consulted the Southwest Utah Health Department. Health officials said the issue could be dealt with antibiotics, and the information was passed on those who had been potentially exposed. “I was absolutely stunned,” Weaver said of being told about the plague exposure. He said he was literally driving to the hospital to see his first grandchild who had just been born when he got the call. Not wanting to bring a potential bout of plague into the hospital, Weaver called the Health Department and was advised to go to a clinic and get antibiotics. “I was going to play it safe and not risk it,” Weaver said, adding he could never forgive himself he infected others at the hospital. 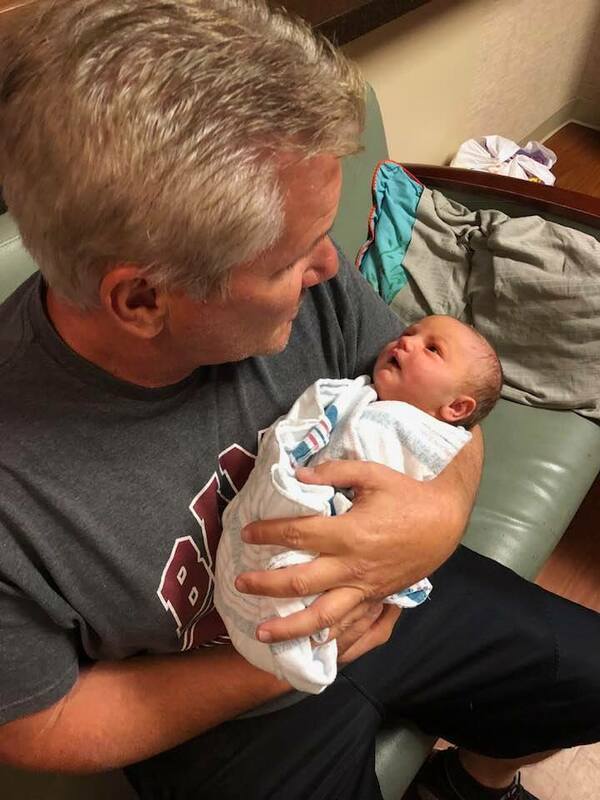 After taking the antibiotics, Weaver made it to the hospital, yet waited a day to hold his granddaughter due to lingering worries of infection. “I’m thankful to the DWR for reaching out and informing us,” he said. Plague among prairie dogs is a normal occurrence and will “flare up from time to time,” Hadley said. The strain of plague prairie dogs and other rodents carry is caused by a bacteria carried by infected fleas. The bacteria is the same that triggers plague in humans via flea bites. It can also be spread through contact with contaminated fluid or tissue, or through infectious droplets expelled by someone coughing. It was concerns over the infected fleas possibly still being on the truck or on the live prairies dogs the biologists were handling that caused Weaver to worry afterward. Overall, the risk that plague poses to humans in Southern Utah is low and known cases are rare, said David Heaton, a spokesman for the Southwest Utah Public Health Department. In the last 10 years, there have been two confirmed cases of the plague in Utah, Heaton said. One was reported in 2009, while the other was in 2015. The latter case involved a man in his 70s who died from the disease. According to the Centers for Disease Control and Prevention, between one and 17 cases of human plague have been reported each year since 2000, with 12 deaths reported between 2000 and 2015. Reduce rodent habitat around your home, work place, and recreational areas. Remove brush, rock piles, junk, cluttered firewood and possible rodent food supplies, such as pet and wild animal food. Make your home and outbuildings rodent-proof. Keep fleas off your pets by applying flea control products. Animals that roam freely are more likely to come in contact with plague-infected animals or fleas and could bring them into homes. If your pet becomes sick, seek care from a veterinarian as soon as possible.